Mihaela Nicola is president of The Group, which she founded together with Zoltan Szigeti in 2005. Before establishing the Group, Nicola worked at the Ogilvy Romania from 1991-1994 and Graffiti/BBDO in 1991. 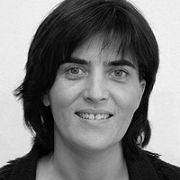 Nicola has been active as associate professor and published a large number of articles and books, including the first public relations manual in Romania. Nicola received her bachelor and master's degree from the University of Communication and Public Relations in Bucharest in 2004 and 2006 respectively.